The StarStudio Celebrity Style Awards is back to give yet another round of due recognition to the most fashionable folk in the Philippine entertainment industry. 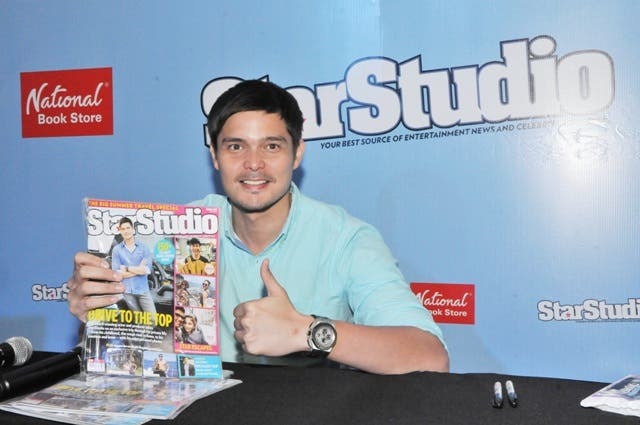 Held hand-in-hand with StarStudio magazine’s 13th anniversary, this year’s Celebrity Style Awards will be the second coming of the event, following its first commencement in 2010. The first ever Celebrity Style Awards was received with much excitement, being the very first awards show mounted by StarStudio magazine. The awards night was held October, 2010 at the Dusit Thani hotel in Makati City, along with a series of mini fashion shows by the Celebrity Designer of 2010 nominees. Among the winners of the first Celebrity Style Awards were Piolo Pascual, Gretchen Barretto, Angel Aquino, Sarah Geronimo, Toni Gonzaga, Ely Buendia and Tim Yap. This year’s Celebrity Style Awards is bringing you the same stylish glamour, with the list of nominees including the likes of Anne Curtis, Dingdong Dantes, Solenn Heusaff, Gerald Anderson, Heart Evangelista, Jasmine Curtis-Smith, Elmo Magalona, Kathryn Bernardo, Daniel Padilla, Daphne Osena-Paez, Luis Manzano, Regine Velasquez, Rico Blanco, Vice Ganda, and so much more. Be part of it this year by voting for your favorite stylish stars at push.com.ph/vote or via SMS. For additional information and complete mechanics, visit StarStudio’s official Facebook page: www.facebook.com/StarStudio.Magazine. Hehe. Da best dyan c kath… Go kathNiel 4ever! go 4 anne evangelista hearty and anne ..